Our Team - Weis & Associates, Inc.
Weis & Associates, Inc. has been providing counsel to businesses and individuals since 1973. During this time, we have established an independent employee benefit-consulting firm with a cumulative volume in excess of $40,000,000 in annual premium. We maintain this volume of business due to our philosophy to form long-term relationships with our clients. As an extension of our client's Human Resource Department; we assist in the selection, implementation, recommendation and maintenance of their employee benefits. Immediately following college graduation, Jerry began his insurance agency in 1973. With his continued successful business, Jerry has earned respect in the insurance field, not only with his clients, but also with medical providers and carriers. Having access to numerous carriers, along with his extensive knowledge of the complex insurance industry, Jerry is able to maintain his goal of quality service and products for his clients. 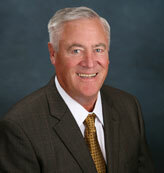 He also does extensive work with life insurance on estate planning, buy sells, and key employee policies. Jerry is a Life and Qualifying Member of the Million Dollar Round Table since 1976, as well as LUA, NAHU, WVAHU, and OAHU. 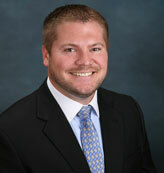 He also has been recognized by “Who’s Who in the Insurance Industry”. Mary graduated from Oregon State University in June of 2004. 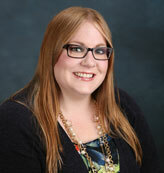 She started working for Weis & Associates, Inc. in 2005 and completed her Oregon agent license at that time. Mary also has her life insurance license and is a member of NAHU, WVAHU, and OAHU. Mary’s focus is in the individual market and small group sales. She handles the application process for individual life insurance and keyman life insurance policies. In addition, she offers office support and customer service. 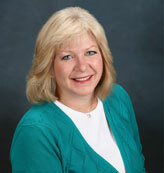 Deanna has been a member of the Weis & Associates, Inc. team since 1988 and became an Oregon licensed agent in 1993. She has been the account manager for Weis & Associates, Inc. clients during this time and therefore, has vast knowledge of their employee benefit designs. Deanna is a member of NAHU, WVAHU, and OAHU. Deanna works closely with the group’s administrators during the proposal, implementation, plan year and renewal. With the continuous support and assistance of Deanna through the years, Weis & Associates, Inc. clients have a reliable and informative source. Daniel graduated from Oregon State University in 2010 with a Bachelor of Science in Business. He joined the office and became licensed in health and life insurance in February 2013. His work consists of life insurance and group sales. He also is a member of WVAHU, OAU and NAHU.